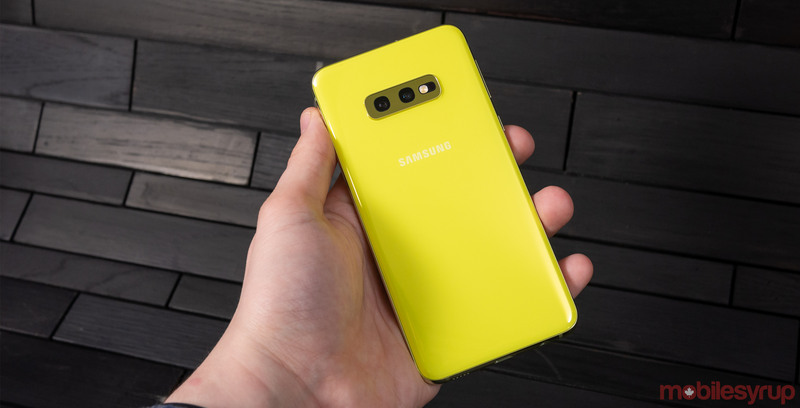 Samsung has announced that its upcoming Galaxy S10 smartphones will come pre-installed with McAfee VirusScan’s anti-malware protection. Further, Samsung has confirmed that its 2019 lineup of smart TVs will run McAfee Security for TV right out of the box. The South Korean tech giant says it’s “the first company to pre-install security on these devices.” The software will scan Samsung TVs to identify and remove malware. That said, it’s important to note that the McAfee-powered Samsung Secure Wi-Fi service — which offers encrypted internet connectivity for added security — is only stated to be available to U.S. T-Mobile and in select European markets. MobileSyrup has reached out to Samsung for confirmation on whether this feature will come to Canada and will upload this story once a response has been received. Samsung previously worked with McAfee on anti-malware protection for 2017’s Galaxy S8. More information on the trio of phones can be found in MobileSyrup‘s hands-on write-up. Meanwhile, Canadian pricing and availability for the handsets is available here.